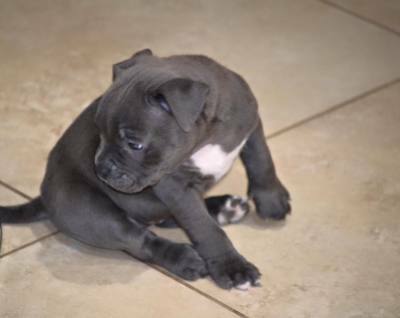 Bello American Bullies is South Florida's premiere kennel for the American Bully breed. 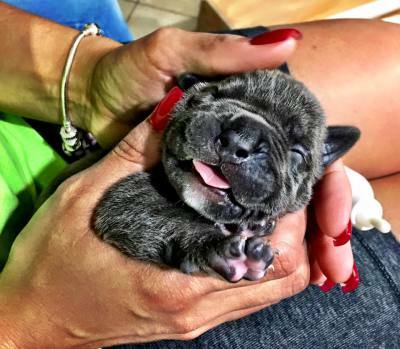 Breeding this magnificent breed is not a hobby or a weekend adventure for us, it is our full time job and passion. 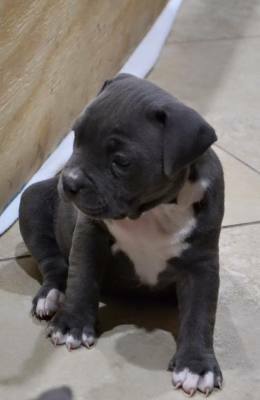 A commitment of excellence, perfection, knowledge, a dedication that starts with our world class, top rated G2 & Miagi breeding stock. 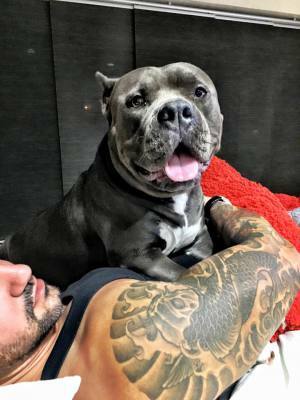 The American Bully in itself is a fairly new breed – about 25 years in the making and stemming off from the bullier type American Pit bull Terriers and American Staffordshires. 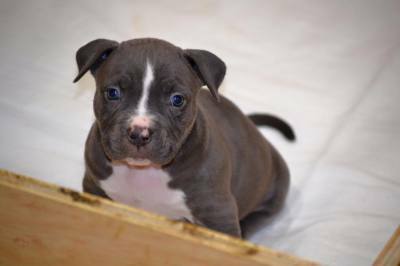 The American Bully has a bullier, shorter, more compact and dense body than your average Blue pitbull. 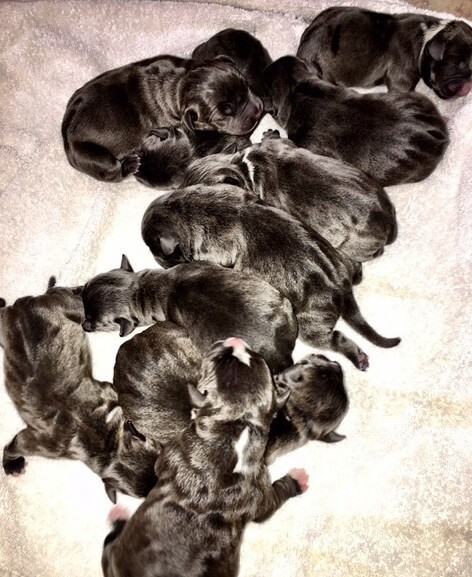 Exotic American Bullies, however, are a relatively new “overdone” type of American Bullies. 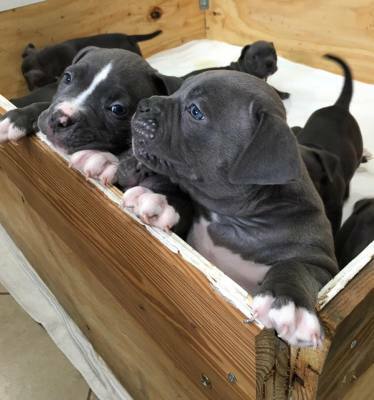 These Exotic American Bullies tend to favor more of the “Bull” side of the Pit Bull. 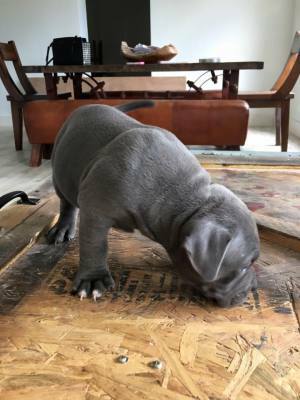 The exaggerated features such wider than normal chests and muscular bodies, shorter muzzles, more defined stops, bigger heads give them more mass and make them more highly desirable than your ordinary American Bully. 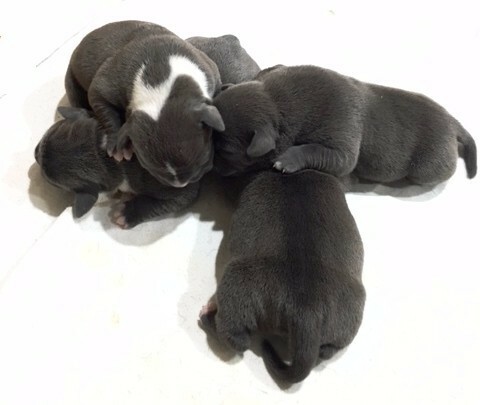 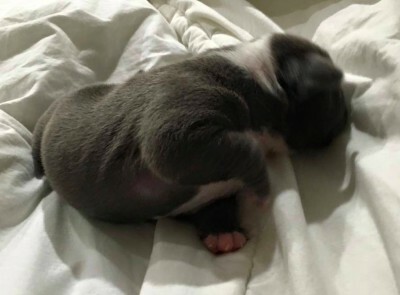 Bello American Bully puppies are bred from some of the finest stock - G2 & Miagi, with a touch of Kurupt. 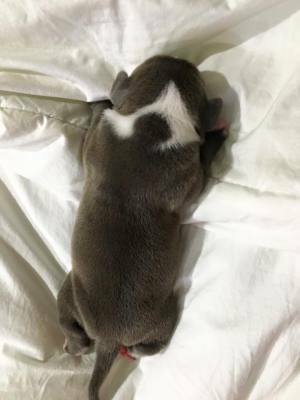 Skillful and careful selective breeding allows us to bring out the best exotic traits have made the American Bully and international phenomenon. 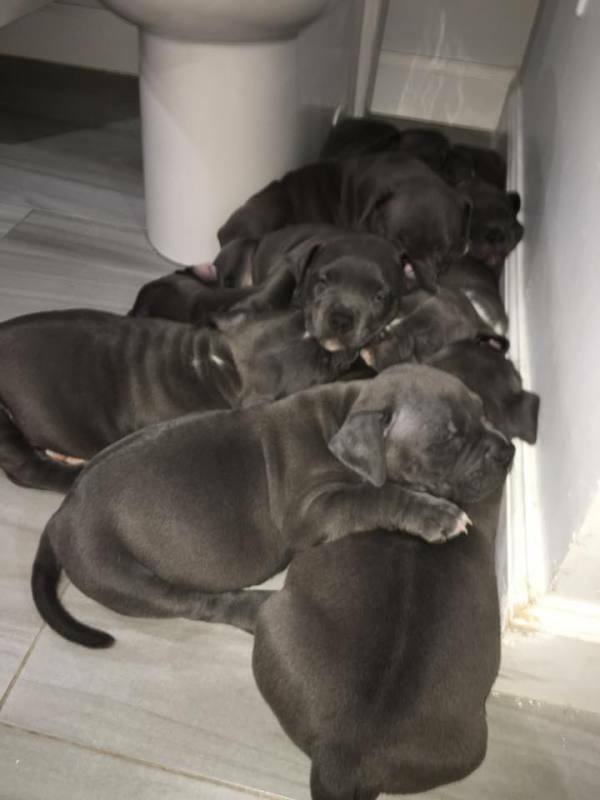 Exotic American Bullies, however, are a relatively new “overdone” type of American Bullies. 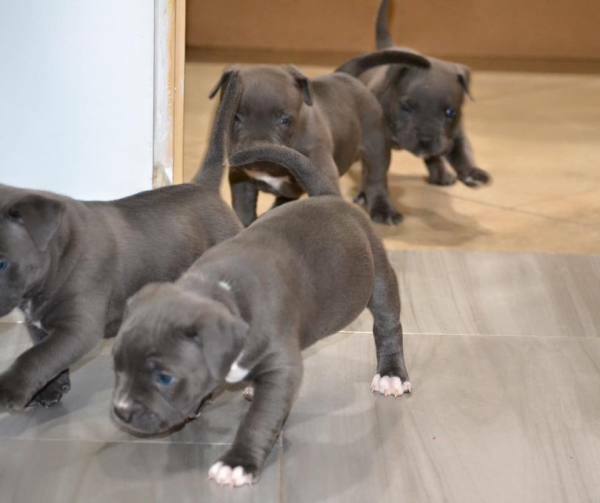 These Exotic American Bullies tend to favor more of the “Bull” side of the Pit Bull. 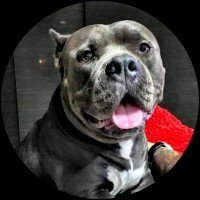 The exaggerated features such wider than normal chests and muscular bodies, shorter muzzles, more defined stops, bigger heads give them more mass and make them more highly desirable than your ordinary American Bully.